Our classes are held in Grantham on Thursday evenings and Saturday mornings/afternoons. We have indoor and outdoor facilities at our training venue which is 2-3 minutes drive from the town centre. It’s never too soon to start training and socialising your puppy. However, all puppies must have had all their vaccinations before joining a class unless your vet agrees they can start earlier. We accept puppies aged 20 weeks and under (although older pups may attend, depending on size and temperament). general good manners and the boundaries you want to set in your household. We will talk to you about how you can prevent problems, the importance of socialising your puppy and introducing him/her to new experiences. We will allow time for the puppies to play together, carefully matching them in size and temperament so none of them are overwhelmed or frightened. In addition, we will highlight your duty of care and responsibility to your puppy, a small price to pay for all the fun and companionship you will get in return. We will do all that – with your help – in a fun, informal way, in small structured classes with puppies of a similar age and ability. The whole family is very welcome to attend (although children must be supervised). Cost: £65 for the six weeks – payable at the 1st class or before. Is your puppy too young to go out? Are you new to dog ownership? Do you need a little extra help and support when you bring your puppy home? We will visit you in your own home and answer any questions you have about your pup’s training and behaviour (eg nipping, jumping up, exercise and lead walking, crate and house training), and show you how to start the basic training exercises, all of which will help you and your puppy get the most out of the classes. These classes will build on the foundation skills learned previously, increasing the level of difficulty and, where possible, ‘taking it on the road’ for some real life practice. We will also start to develop impulse control and pay particular attention to developing a reliable recall. We will introduce new exercises and fun activities that will keep your dogs busy and interested, such as a basic heelwork routine and an introduction to Rally Obedience and scent work. 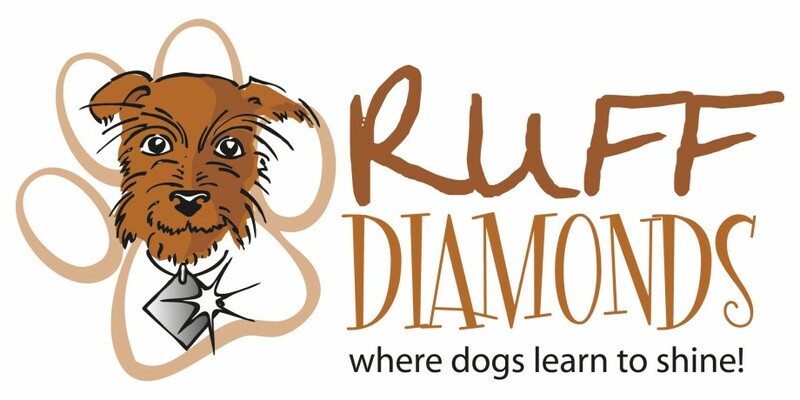 For dogs that have completed the Ruff Cut Diamonds and Diamond Geezers classes (or are of a similar standard). An ongoing course, based around the needs or interests of the owners and dogs attending, aimed at learning new skills and having fun! There is no fixed syllabus for these classes but it is likely to include some off-lead work so dogs must be comfortable working in the company of others. Not all dogs – for whatever reason – are happy in a class environment; they may get very stressed or excited which isn’t good for them, or for other dogs in the class. 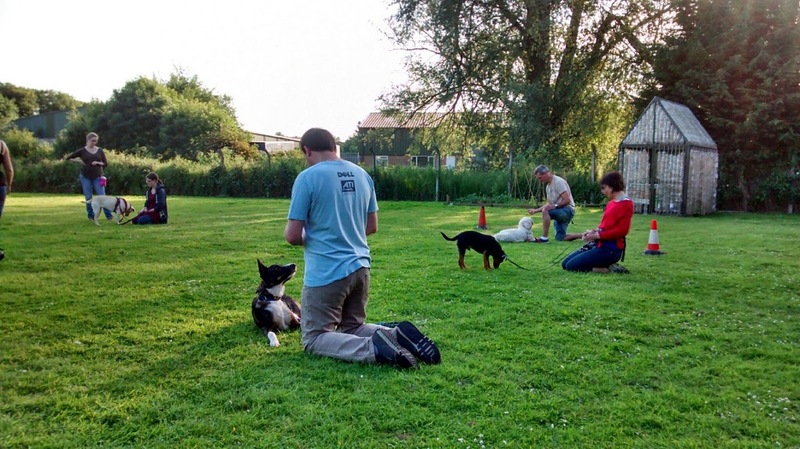 We offer 1:1 training where appropriate, with the aim of enabling the dog to join a class if possible. If you have any doubts at all about how your dog will cope in a class environment, please contact us. If we can’t help you, we will almost certainly know someone who can! If you would like to visit any of our classes (without your dog) to see what we do and how, you would be very welcome; please contact Fiona via the contact page.